Introducing the Champions Blog series where we feature blogs written by GEOVIA Champions. 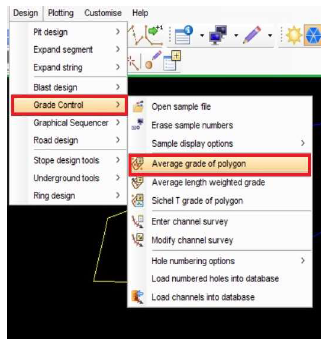 In this blog post, Mohamed Durand presents a tutorial on using the Grade Control Polygon grade estimation in Surpac. In an effort to minimize the cost of mining and maximize the recovery of ore, careful Grade Control is an integral and essential part of both open pit and underground mining operations. The grade control module provides you with tools to automate and simplify the more mundane aspects of production control tasks. This article provides solutions for polygon grade estimation for open pit. 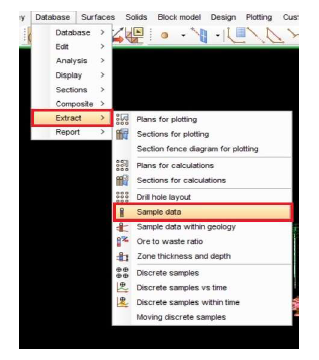 This function allows you to extract sample coordinate data from interval or point attribute tables and create a string file which contains the sample position (Y, X, Z coordinates) and values. The inputs and results of this function will vary depending upon whether the table being processed is a time dependent table or not. For grade samples extract from drill hole. You use this function to display the line of intersection between the perimeter of the blocks of the block model, and the active plane. Usually, you would use this function when the block model is displayed as blocks, and you want to view the line of intersection between the blocks and the active plane.To generate mining polygon, on the Planes panel, click the Block model as polylines button, or, in the Function Chooser, type BLOCK MODEL AS POLYLINES, and press ENTER. 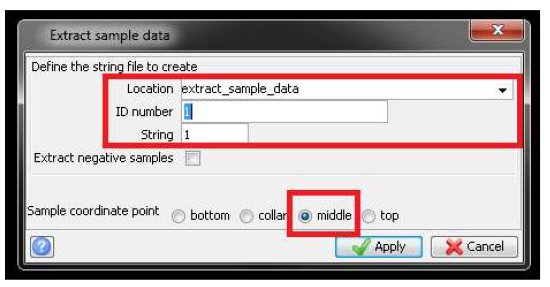 This function allows to recall a string file containing interval or point sample grades so grade estimates can be made. With this function you can estimate the grade inside all closed segments of a string. This function is only appropriate when the samples are Interval type samples. The function works by finding all portions of the samples which are inside the segments of the selected string and then calculating a length weighted average using the grade values of these samples and the length of the samples. Click on the polygon to calculate average grade. 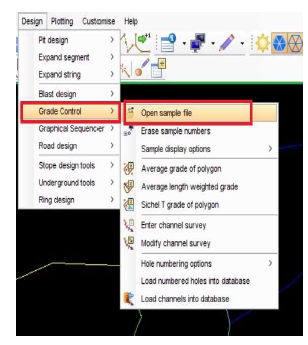 Position the cursor and select a point on the closed segment within which you wish to estimate the grade. 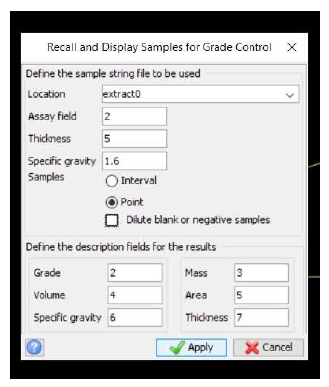 After you have selected the segment the grade estimate is made and a message similar to the above is displayed in the message window. For more information on Mohamed Durand and our other Champions, click here. 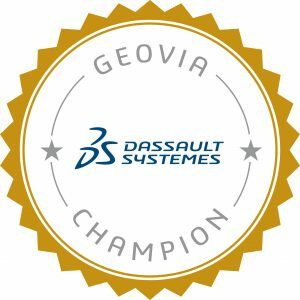 Are you interested in becoming a GEOVIA Champion? When mining companies seek to increase mine productivity, they turn to Dassault Systèmes for technology and services. It is home to world-renowned and award-winning mining solutions and to industry thought leaders who are pushing the boundaries of what’s possible in mining, through the GEOVIA brand. The largest global supplier of mining software, GEOVIA delivers comprehensive solutions in all major mining centers in more than 130 countries at over 4,000 sites.